Music Therapeutic Concerts: Andrew's Music Story in Kimhae on January 25, 2017. Sunny will be a storyteller of the concert, and 7 old friends will be introduced. 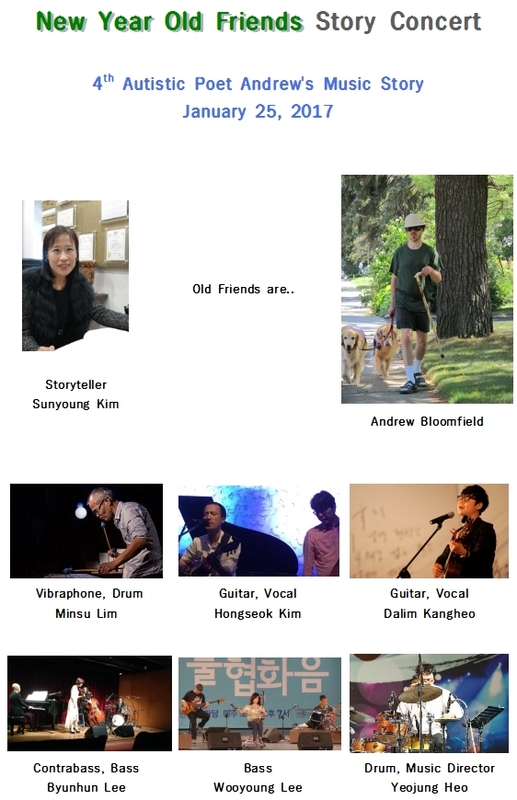 The musicians are all Sunny's longtime friends and associated with the Seoul Jazz Academy. They are really famous musicians and all teach at Korean universities.